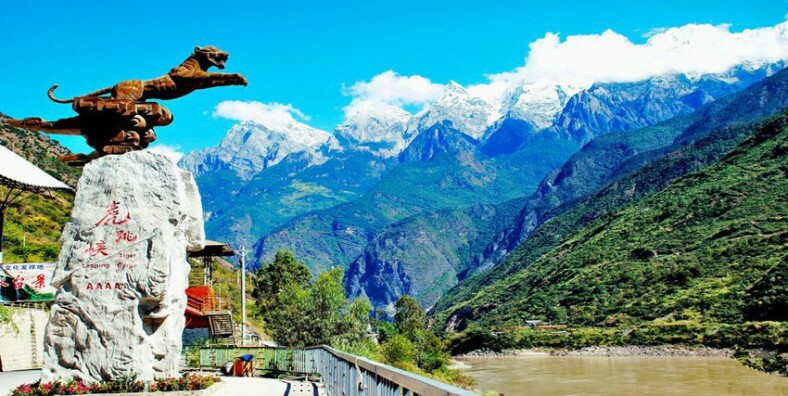 During this 2 days Tiger Leaping Gorge Trekking Tour, you will have the chance to visit the deepest gorge in the world – Tiger Leaping Gorge, and also appreciate beautiful scenery around Lijiang. 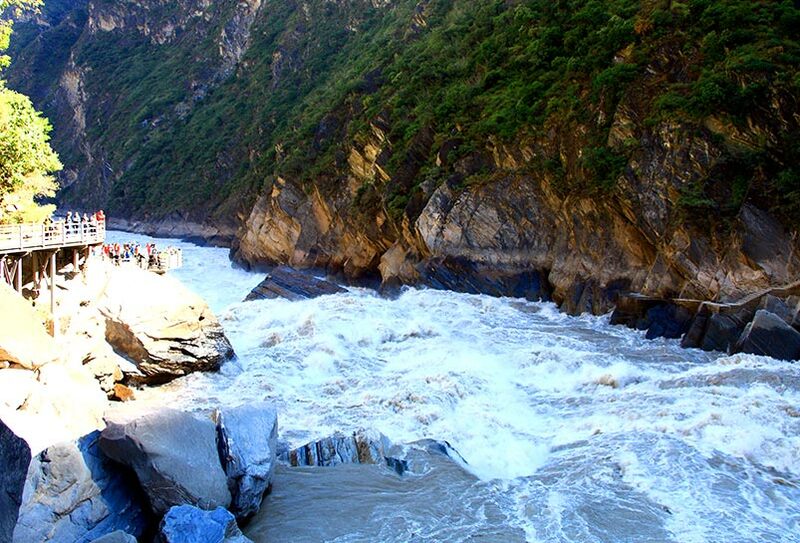 Trek around the world’s deepest gorge – Tiger Leaping Gorge. Appreciate the beautiful scenery along road. At 8:00, pick up by the tour guide from the hotel and take the public bus to Qiaotou Town, it takes 2 hours on the trip. 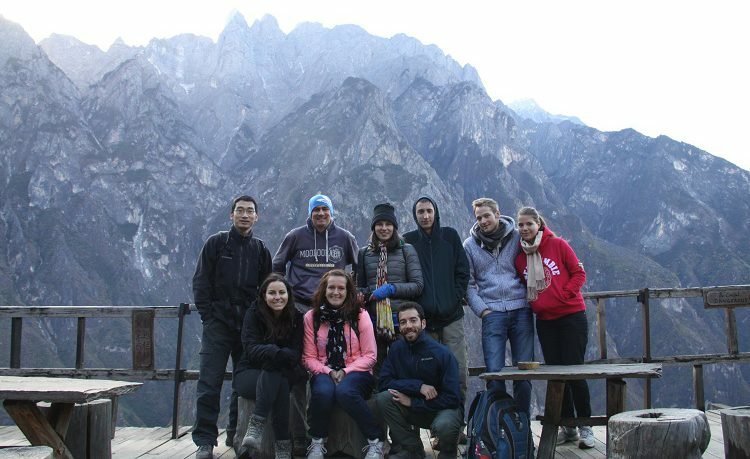 Tiger Leaping Gorge hike tour is one of the most beautiful trekking tour of Yunnan Province. This hiking trip starts from Qiaotou. About two hours trekking in the upper Tiger Leaping Gorge, arrive at Naxi Family and have lunch there. It is easy trekking from Qiaotou to Naxi Family, but beautiful scenery. After lunch, a trekking from Naxi Family to 28 zigzagging turns will be a challenge for you. From the top of “28 turns” on the high path further uphill to a place of altitude above 3000 m, you can have a view of the panorama of the entire Gorge. The go pass Tea Horse Guest House (5 hours) and arrive at Halfway Guesthouse (2500 m) to finish today’s trekking. The total trekking route is 26 km, and it takes about 6-8 hours. In the early morning, continue hiking to Tina’s Inn (2 hours) after another hour walking down the steep cliff to the bank of Jinsha River to the Middle Gorge (Middle Hutiao or Middle Rapids), worship the dangerous shoal of “Starriness”, it is the most narrow part of the gorge, where a tiger can easily jump over the Jinsha River. From Half way Guesthouse to Middle Hutiao or Rapids will take between 3 to 4 hours. Then climb up the gorge to Walnut Grove (Woody’s Guesthouse) using either the Tianti or Yixiantian route. Depending on how tired, choose the one to suit on the day. So from Middle Hutiao to Walnut Grove will take 2 or 3 hours and the total trekking hour for the day from Halfway Guesthouse to Walnut Grove will be about 5 to 6. Finish the trekking and take the public bus (15:00 from Tina’s Hostel) back to Lijiang.